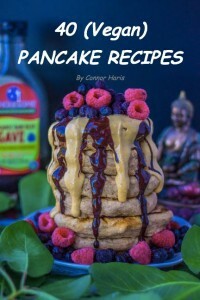 I recently interviewed 15 year old Connor Haris, who is a young vegan that recently released a vegan pancake recipes ebook and has an impressive Instagram account with over 14,000 followers! So please tell us a little bit about yourself, and how you became a vegan. My name is Connor Haris and I'm from California, USA. I was vegetarian off and on since I was 10, but I never made the actual connection. It was the beginning of 2014 when I first heard what a vegan was, and like most people I thought it was an “extreme” diet. However slowly (about 4 months) I became to realize how much an impact animal farming does to the planet, to your health, and how cruel it is. Earthlings was definitely an assurance of going vegan and after binge watching Earthling and Forks Over Knives I realized that I had to change and went fully vegan (whey protein powder was the last thing I gave up). You have a popular Instagram that chronicles your vegan life, what made you start this? And why did you want to show/help the world with veganism? Well in the beginning it was just for fun but then I slowly started to get interested in food photography! Now it's one of my passions and spreading the vegan message has always been the root of my Instagram! Is your favourite food pancakes? What made you choose to make a book of loads of amazing flavoured pancakes only? And which are your favourites? Haha yes they are definitely one of my favorite foods every since I was young so I first wanted to write a unique book and what better way than write a ton of delicious veganized pancakes recipes! There are 40 recipes plus 3 bonus recipes in the book. My favorites? That's hard, but if I had to choose I would say Mint Chocolate Chip, Oreo, Red Velvet, Mixed Berry, and Carrot Cake! So tell us why you have created the ebook. I created my ebook to raise money for my GLA Ghana Volunteer Trip that I will be going on this summer! The trip will take about 20 volunteers to Ghana and the volunteers will spend all day building sanitary toilets and houses for the people of the community since Ghana is a very poor country and therefore can't avoid luxurious things like sanitary and clean toilets! If you want to read Connor's ebook, you can buy a copy here, or enter the competition here to win a free copy! To see one of the recipes from the book, check out Pumpkin Pie Pancakes! For more information about the GLA trip, click here. Check out Connor's Instagram here. 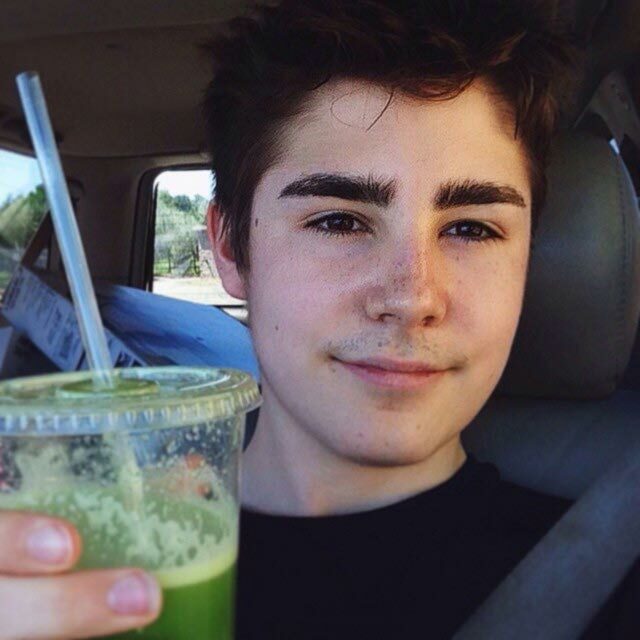 Check out Connor's Tumblr here.